Tim Floyd, Jonesboro High. In one of the most exciting games in the state last Friday, the Cardinals, led by two outstanding performances, were able to pull off a victory over perennial powerhouse Sandy Creek 17-15 in a game that was decided in last minute of the fourth quarter. 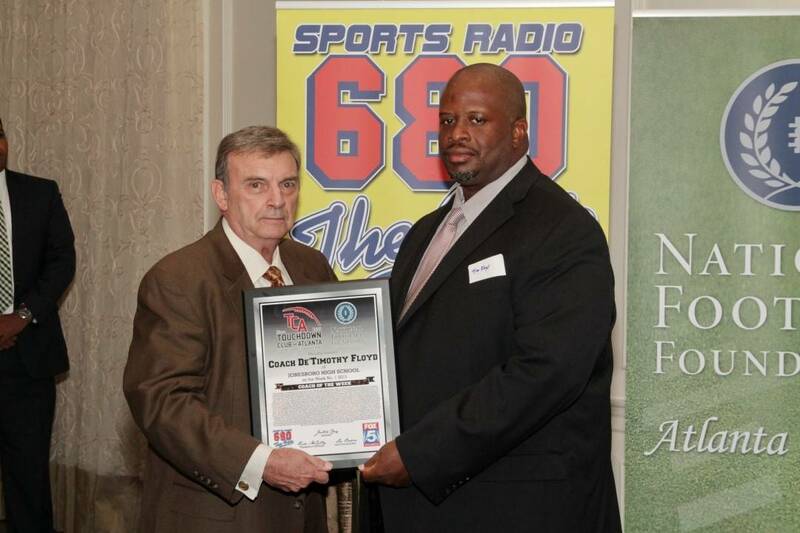 Coach Floyd in his his 7th year at Jonesboro High and has built up a program at one of the oldest schools in the state of Georgia and a school that has not had a lot of historic success. Coach Floyd is changing that and should become the School’s winningest coach by week 4 of the season.